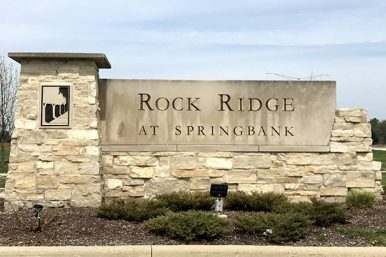 If you’re considering a community for your new home, we’ve got a suggestion: Springbank in Plainfield. This community marks the spot when it comes to central location, offering everything—from shopping to recreation to transportation—right outside your doorstep. The area’s reasonable taxes and sought-after Plainfield School District make the area particularly desirable, as well. In our Springbank community, we’re building single-family homes starting from the $270’s. We offer four large floor plans, including two-story and ranch, with four to five bedrooms, ranging from 1,955 to 3,900 square feet—all of which can be customized to your personal perfection. You’ll also receive the standard, quality amenities such as 92+ high efficiency furnaces and high efficiency kitchen appliances, which help make Core Homes a premier local builder in the Will County, Kendall County and Grundy County areas. We’re excited to offer our top quality and customization at such great prices in this excellent area. Call us today at 815-439-9000 or visit our website at homesbycore.com to learn more about developing your very own customized home in this fantastic Chicagoland community.